MDC National Deputy Chairperson has opened up on how he felt when he underwent the recent gruelling court process that ended up seeing the court grantimng him back his passport and lessening of his bail conditions. "My experience in court this week has taught me that we have a desperate incorrigible regime that will maliciously pursue its vicious agenda of power retention thorough manipulation of processes and institutions." Biti said. "But we also have great fighters of truth and justice." "The truth is they may squeeze us , torture us , imprison us , even kill us but they will never break our spirits . They will never break our insatiable , unquenchable , drive and desire for change, justice, democracy and the genuine upliftment of our people." Biti is facing charges of announcing the just-ended 30 July election results, a mandate that is the sole duty of the electoral body, the Zimbabwe Electoral Commission (ZEC), and declaring the MDC Alliance presidential candidate Nelson Chamisa as the presidential race winner. 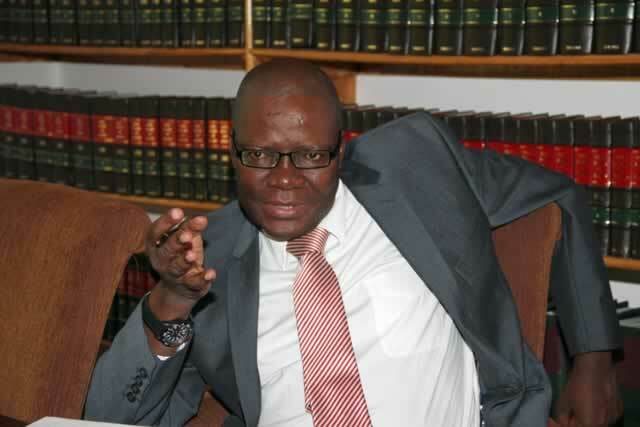 Further, Biti is being accused of having a hand in the post-election violence that saw the military intervening and shooting indiscriminately at protesters and unarmed civilians resulting in the death of six people and several injured. United States' Deputy Assistant Secretary of State for Africa Matthew Harrington in a statement to the Senate Committee on foreign relations last week said Emmerson Mnangagwa's government should drop charges against former finance minister and opposition leader Tendai Biti to prove that the Harare administration is "serious about taking the country in a new, more positive direction".